footballers with male football players there is big gap in their pay scales. In 2015, before women world cup a report published on sports journal in which women get paid maximum $450,000 annually but recently there is 15% hike in their salaries now women footballers get paid maximum upto $750,000 which include their bonus and club money. Jodie Taylor £40,000 £420,000 Arsenal L.F.C. Carli Lloyd $40,000 $400,000 Manchester City W.F.C. Women footballers get paid match fees during the international matches and their matches fees increased upto 10% if they score hat-trick for the team or winning goal. Only international matches they get paid match fees in the club level football they paid weekly wages of not more then $20,000. All female football players get their base salary and annual salary contracts from the clubs they represent in football leagues. Alex Morgan is one of the rising stars of United States women soccer national team. She become famous after playing London Olympics 2012 and Women World Cup 2015. She is currently player (Orlando Pride) team but in start 2017 she moved to the club Olympique Lyonnais on loan deal. Marta is one of the most outstanding women center forward she scored couple goal for his national side in the friendly matches and international tournament matches. She represent the team of Brazil in 102 matches and scored 101 goals in all appearances. In 2017, she joined the National Women Soccer League and signed her new contract with football club (Orlando Pride). Amandine Henry is one of the most success female football players in France. The 27 year old currently playing for the American soccer league with (Portland Thorns FC). According to sources she is earning $10,000 Weekly wage from the club. Jodie Taylor one of the best players for the English women football team. After leaving the (Portland F.C) last year. She joined the team of Arsenal Women team on weekly wage of £5,000. So far she played 9 matches for her new club and scored 5 goals in all matches. She represent the team of England in 29 matches and scored 14 international goals for the national side. 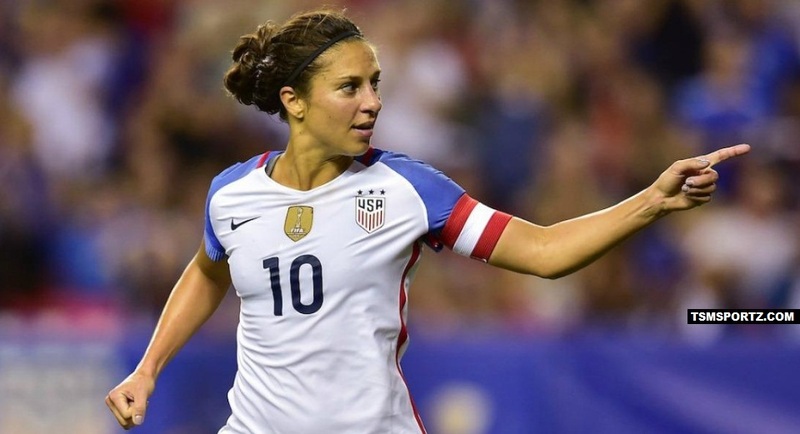 Carli Lloyd one of the best professional female football players in the world. She is on loan deal to the (Manchester City) in 6 matches she scored 2 goals for the club. While representing the team of US Women soccer as captain. Llyod score 97 Goals in 242 national appearances for the USA team. The match fees paid to each female soccer players after the international match. Not in every match they earn money only big tournament where they represent their countries like (Fifa Women World Cup and Olympic Games).